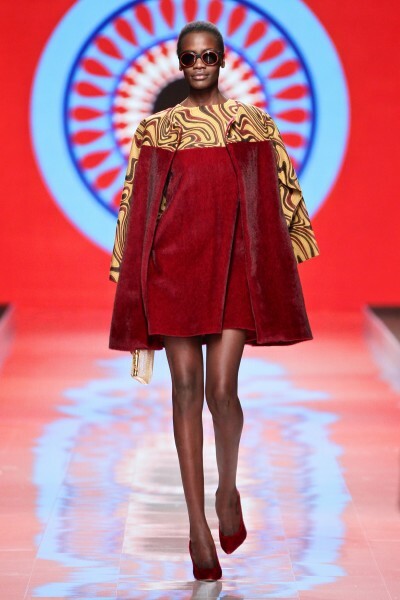 Mercedes Benz Fashion Week Africa 2014 kicked off 3 days ago with smaller designers who are not nationally known except for Mai Atafo. When it comes to showing skin, young Mozambique fashion label, Taibo Bacar has that in the bag. He is the master of all things bright colours and eye-catching details like intricate lace designs, sequins, prints and loads more, so it came as no surprise when he sent models down the runway baring matching sets, bustiers, mixed prints and more things. 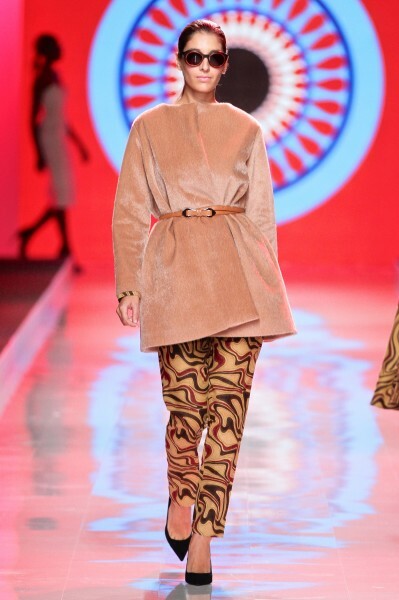 Ghanaian designer Aisha Ayensu of Christie Brown made us proud for her collection. The designer took on a 1950 revival theme with full skirts, cut apron tops, cut outs, frilly tops, bejeweled peter pan necklines and skirts all in gentle peach, lime green, off white & black & white; while Tanzanian menswear designer Sheria Mgwoi went into mens suiting in his Spring/Summer 2015 collection. 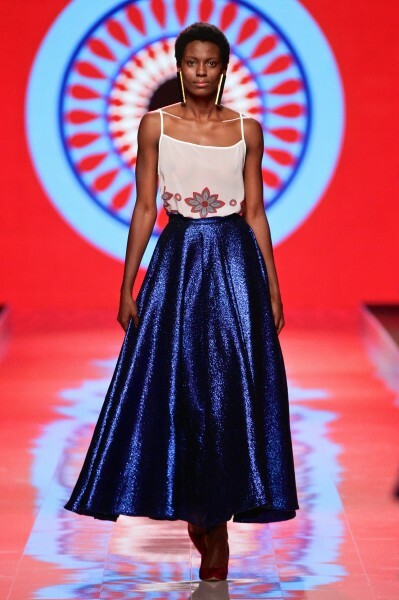 Sheria’s Spring/Summer 2015 collection, titled the “The Pride” is dedicated to a leader in Tanzania – Mwalimu, who was one of those that fought for her independence. Sheria noted on Instagram “Today…we will celebrate your life and all the fore fathers who fought and paved the way for us…“. The collection features floral print blazers and trousers, a lot of solid colour, polka dot ties as well as a casual spin rocked by Nigerian model Victor Kwen. 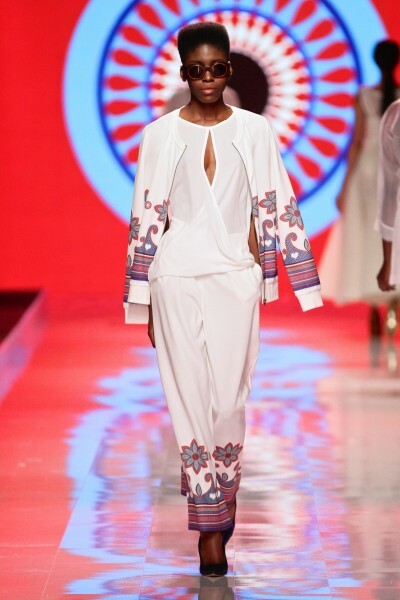 We couldn’t hold our breath than to give a Nigerian designer, Mai Atafo a standing ovation for his inspired collection. His models walked the runway in pastel colours and a few bright pieces taking mens suit to another level. His female range were certainly the best of his collection as he infused traditional Nigeria with Western. The designers didn’t disappoint us….at least you can count on them. 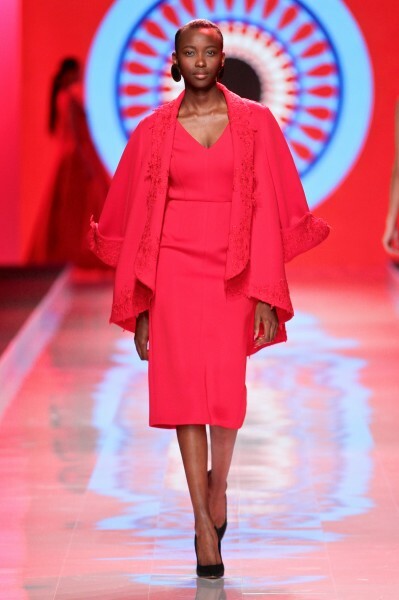 So far Mercedes Benz Fashion Week is off to a good end, and we can’t wait to see what today will bring, but until then, take a look below to see how these designers from Taibo Bacar to Aisha Aayenus, and Sheria Mgwoi to Mai Atafo put their needle works down the runway in the past 3 days.